You don’t have to suffer from winter dental pain, find out how you can combat this seasonal toothache. If you missed part one, you’ll want to go back and read it here! In part one, we touched on why we get increased dental pain and sensitivity in the cold weather. 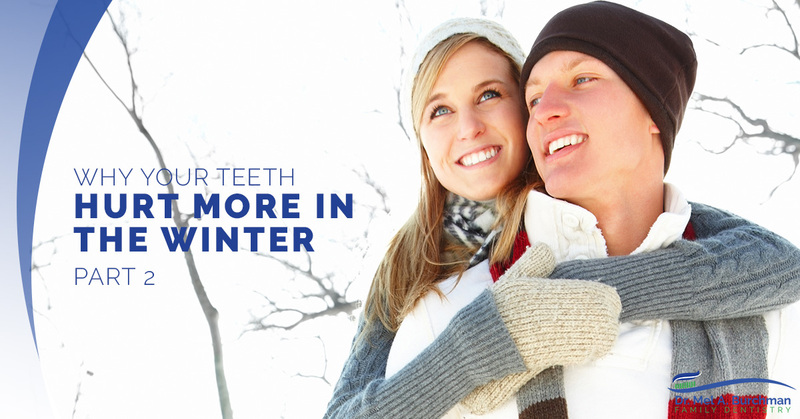 Our teeth become more sensitive in the winter because of factors like the cold air, jaw clenching, and underlying dental concerns. But, it doesn’t have to be that way! Beat dental cold sensitivity with Dr. Burchman today! Our Langhorne dental office can help you address tooth pain and provide comprehensive dental services for complete convenience. Follow along in today’s post and find practical solutions to your winter tooth pain. We know why our teeth are more sensitive in cold weather, but what can we do about it? You don’t have to suffer in pain and avoid the outdoors in the winter — enjoy the great outdoors and combat dental pain with the tips below. Don’t be a mouth breather! Breathing through your mouth is a hard practice to break, however, it’s better for your teeth in general. Mouth breaking can cause dry mouth which can lead to an increased occurrence of cavities. What mouth breathing means for cold weather is it directly penetrates your teeth, and over time, can cause tiny cracks in your teeth. Instead, focus on breathing through your nose. The cold weather ushers cold and flu season which can wreak havoc on your sinuses. Sometimes, it’s difficult to discern between sinus and dental pain. If you’ve been sick this season, ensure you don’t have inflamed sinuses that mimic tooth pain. Be conscious of your jaw clenching. Layering for the winter weather is advised, and this small gesture can even address your tooth sensitivity! When we go from a warm and snuggly instead environment to frigid winter temperatures, our natural reaction is to shrink up, hold our body in close, and clench our jaws in the name of warmth. But does this really warm us up? Probably not! So be conscious of how you go out in the cold weather and avoid clenching your jaw. Schedule a comprehensive dental exam. Sometimes your winter dental pain is just good ol’ fashioned dental issues. Damaged fillings – If you haven’t had a dental exam in a while and you’re teeth are feeling extra sensitive, it may be a result of damaged fillings. Over time, large fillings can crack or break, and since it’s very close to the tooth’s nerve this can send pain to your tooth. Receding gums – Gum health is just as important as overall dental health and if you’ve ignored your gums, you may have sensitive root surfaces that are exposed. Address your winter tooth pain by changing small things such as breathing through your nose, getting your sinuses checked, avoiding clenching your jaw, and scheduling a routine dental examination. When you partner with us, a trip to the dentist isn’t scary! 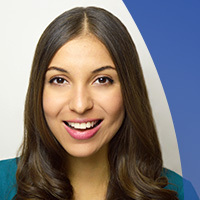 Schedule a tooth cleaning and connect with us more about your sensitive teeth today!